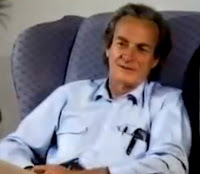 Richard Phillips Feynman was an American physicist known for the path integral formulation of quantum mechanics, the theory of quantum electrodynamics and the physics of the super fluidity of super cooled liquid helium, as well as work in particle physics (he proposed the Parton model). For his contributions to the development of quantum electrodynamics, Feynman was a joint recipient of the Nobel Prize in Physics in 1965, together with Julian Schwinger and Sin-Itiro Tomonaga. Feynman developed a widely used pictorial representation scheme for the mathematical expressions governing the behavior of subatomic particles, which later became known as Feynman diagrams. During his lifetime and after his death, Feynman became one of the most publicly known scientists in the world. This new Puppet Concept is really cool! Daft Punk v Charleston style.